Yesterday marked the first day of 31 Days of #BookLove. Rather than review all 300 books I’ve read this year, I decided to share one of my favorites each day this month. Josh F*cking Bennett. He’s 90% of what I love about this book. While Nastya’s story is heartbreaking, and I wanted to solve the mystery behind what happened to her, Josh is the reason I forged ahead. At the outset of the novel, he’s the untouchable guy, the one so touched by tragedy and surrounded by mystique that no one even tries to go near him. Without family, he lives alone in a house (I’ll let you discover the why of this) and builds furniture in his garage. Nastya is drawn to him and kind of forces her presence on him, forging an unusual and shaky friendship. These two are so lovely together, and I liked Nastya’s story (even if the mystery didn’t leave me satisfied). I didn’t care because hey – I <3 Josh F*cking Bennett. Millay weaves a riveting love story about two outcasts who have the potential to become each other’s family. 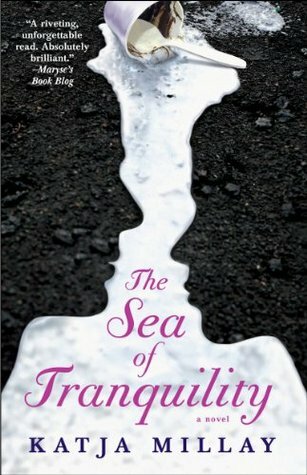 Like the sound of THE SEA OF TRANQUILITY? Give the author a little #BookLove. Katja Millay tweets @KatjaMillay.